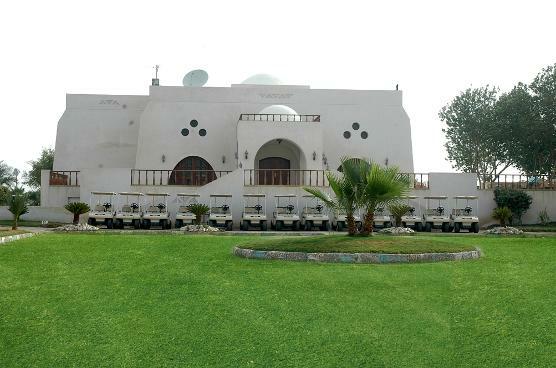 The Nubian style Clubhouse stands majestically in the center of the course, and was built with comfort in mind . 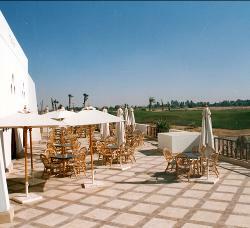 In addition to the large variety of Nubian and Continental dishes, the open air restaurant offers a stunning view of the golf course and Luxor's West Bank . 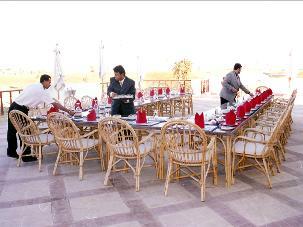 The lounge / bar area offers a wide variety of premium drinks and refreshments, all within a friendly atmosphere. Refreshments are Also available from the on-course beverage carts. The Clubhouse also provides a fully stocked Pro shop supplying international renowned brands.